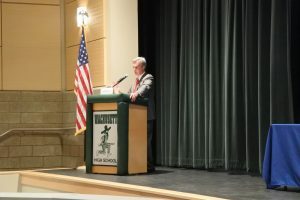 District Attorney Early giving opening remarks at the community forum. 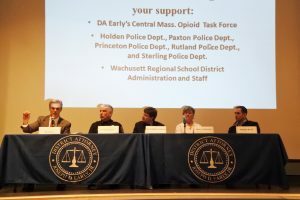 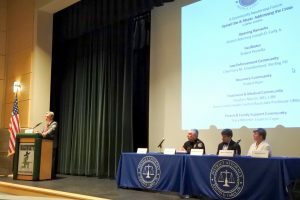 District Attorney Early on a panel with Sterling Police Chief Gary M. Chamberland, Dr. Stephen Martin, Tracy Wheeler from Learn 2 Cope and Robert Ryan from the recovery community. 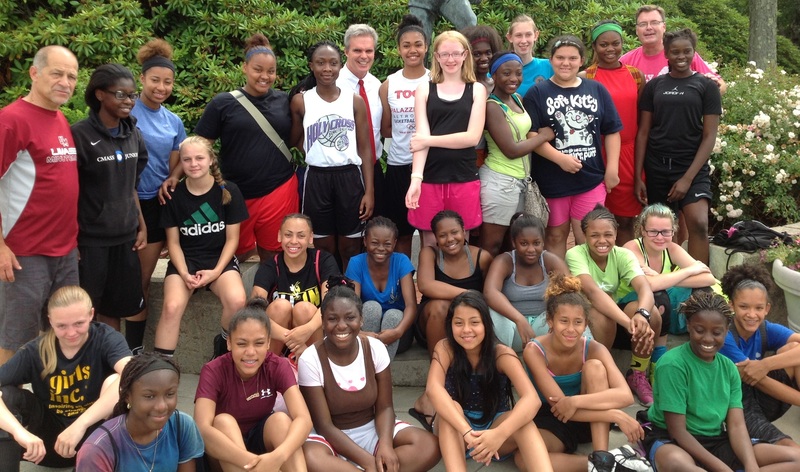 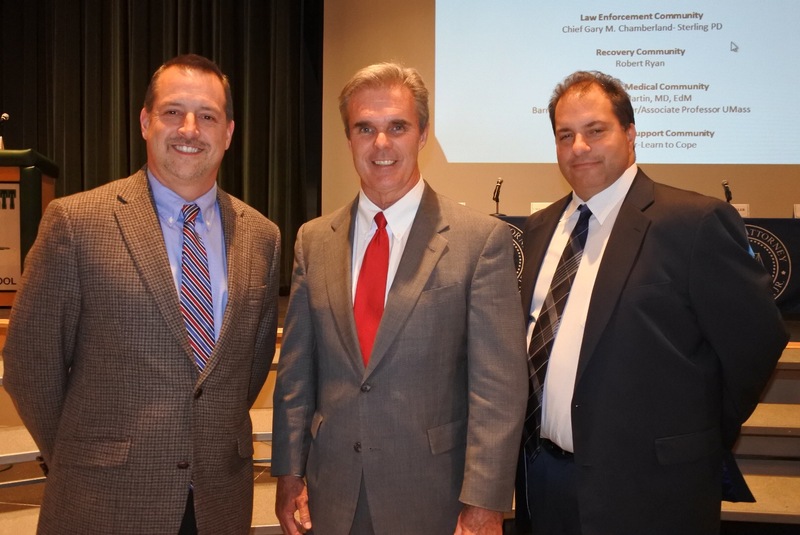 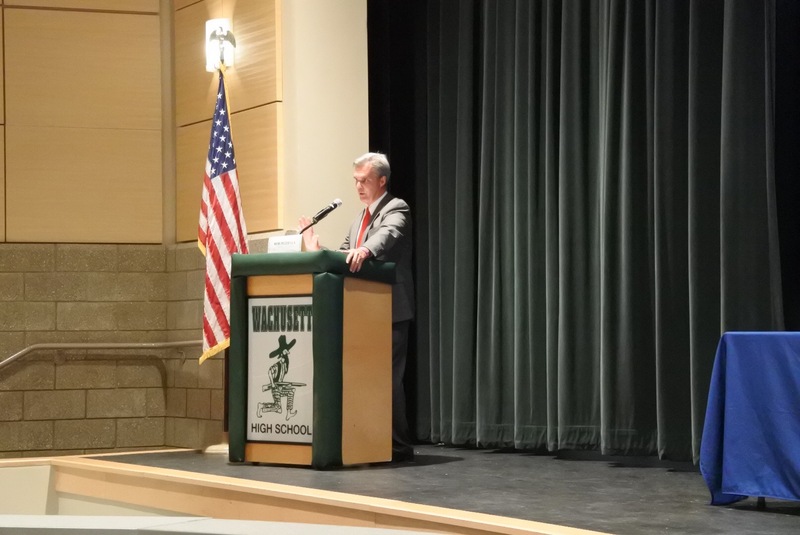 District Attorney Early with Wachusett Superintendent Darryll McCall and Principal William Beando. 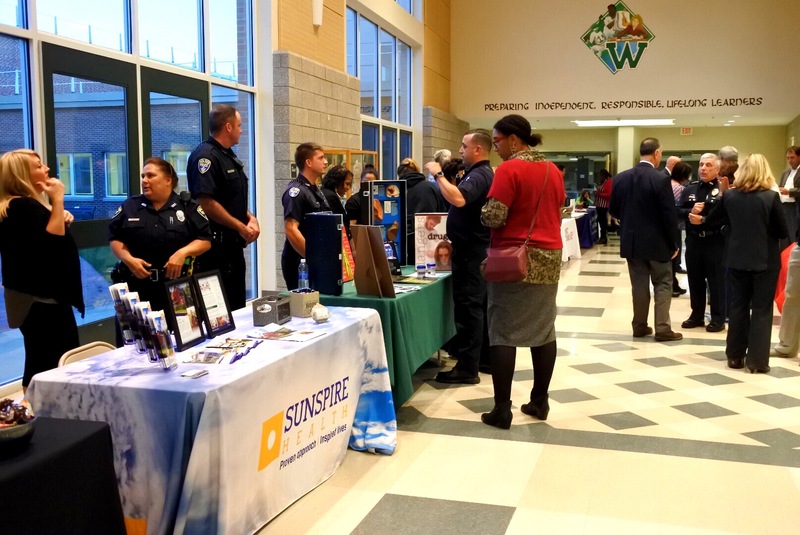 Resource tables at the community forum. 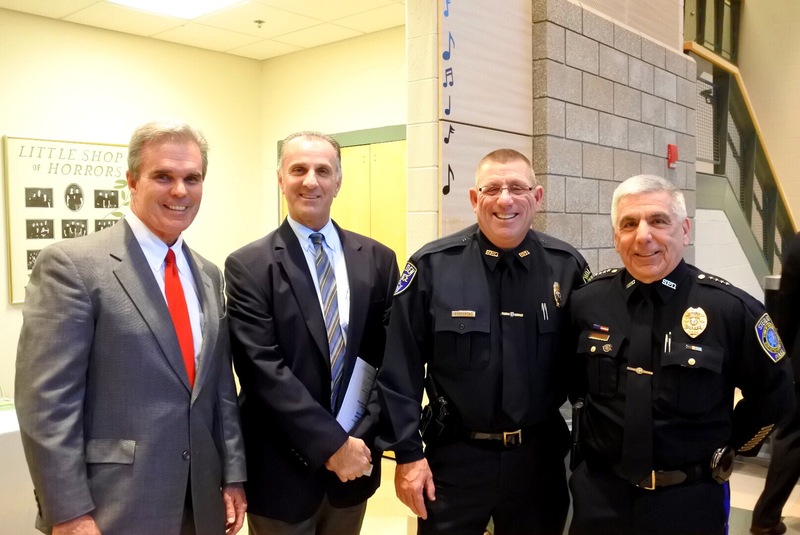 District Attorney Ealy with facilitator Robert Pezzella, Holden Police Chief David Armstrong and Sterling Police Chief Gary M. Chamberland.